Creature Design Challenge #3 Winners! First off, thank you to everyone who entered our latest design challenge. You guys really put the newly revamped Life Blocks to the test! To see all the amazing entries, check out this Workshop Collection and subscribe to spawn them in your own games from the Bestiary. (Note that you’ll need to be on Pre-Release to get all the revamped Life Blocks!) 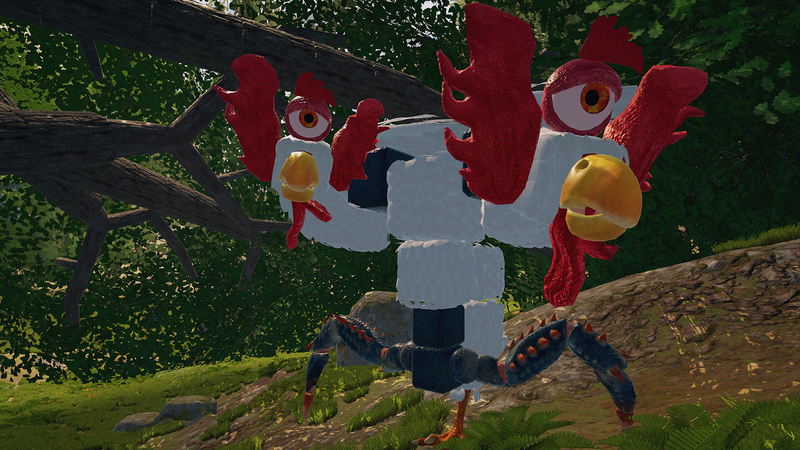 All of the creations were really creative and you may see some of these creatures in the wilds of CHKN soon! Also, huge thanks to our guest judges, Jacemachine and squidking! They put a lot of effort into judging and discussing entries, thinking about how creatures look and fit into the world, and testing them in the game to see how they move and fight. Thanks, guys! 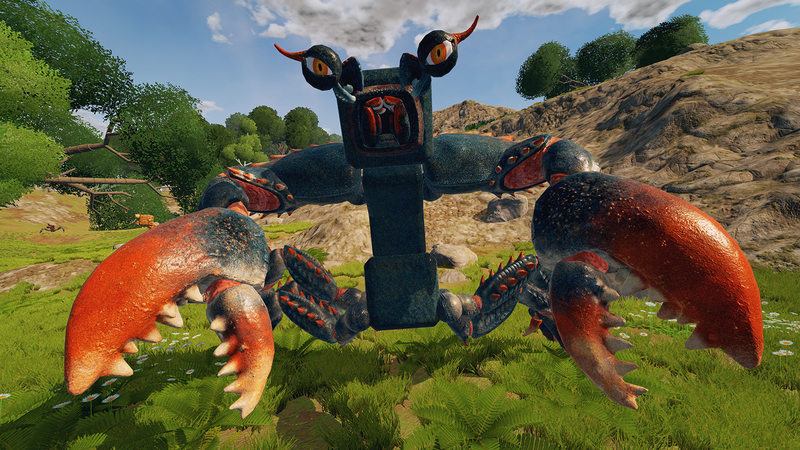 The formidable Crabosapien by DINOBOY. It’s only made of crab parts and it’s a bit deceptive at first glance, but our guest judges liked the cool humanoid shape and that it’s quite tough in a fight. It’s got great movement in battle and can throw a mean uppercut at you. “Which is also awesomely cool, unless you are the one that’s claw-uppercutted”, says squidking. 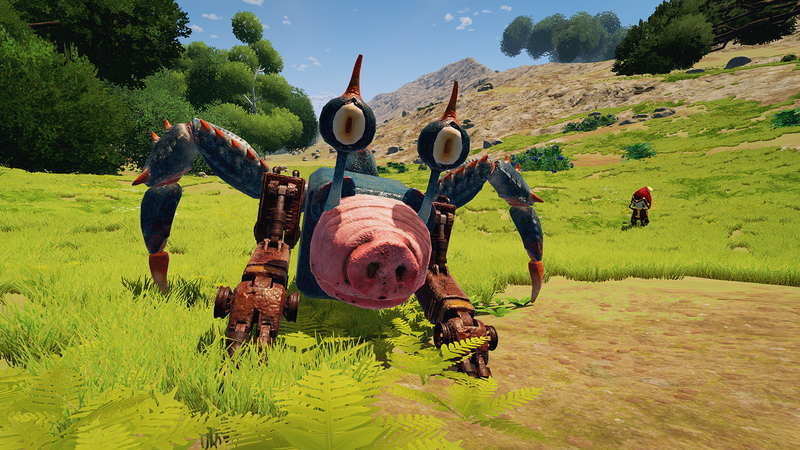 This will make a great creature for players to run into while exploring the beachy areas of the island. The majestic Chicat by deathasholds. 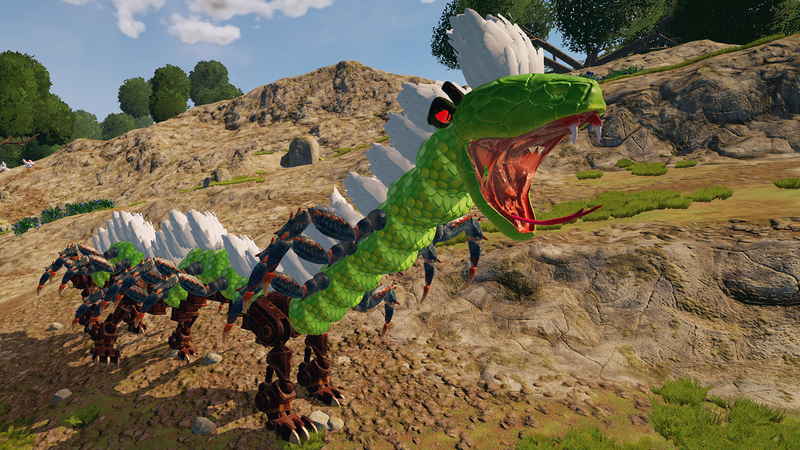 We also wanted to get in on the judging action so here are some of our favorite creatures from all the amazing entries. RoboSnakeapede is also by deathasholds but we couldn’t help calling it out. It’s got quite the wow factor, especially when you see it move around in the world. 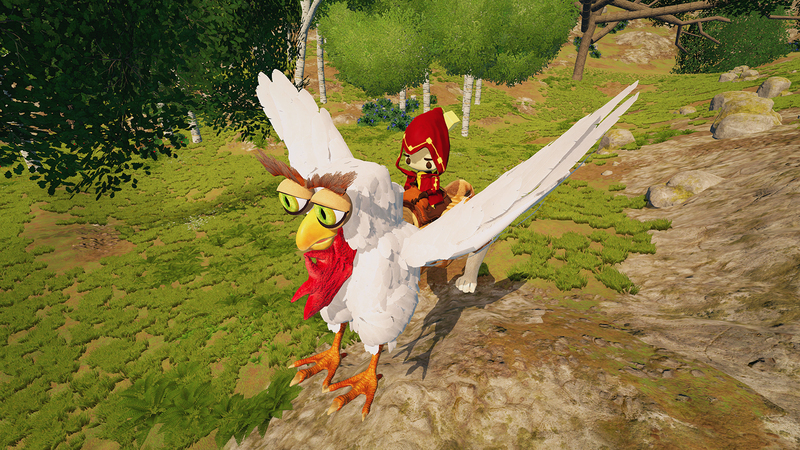 There’s something about Duble clucker by Lordofd that feels very CHKNy. It’s super interesting and weird, and that makes it great. 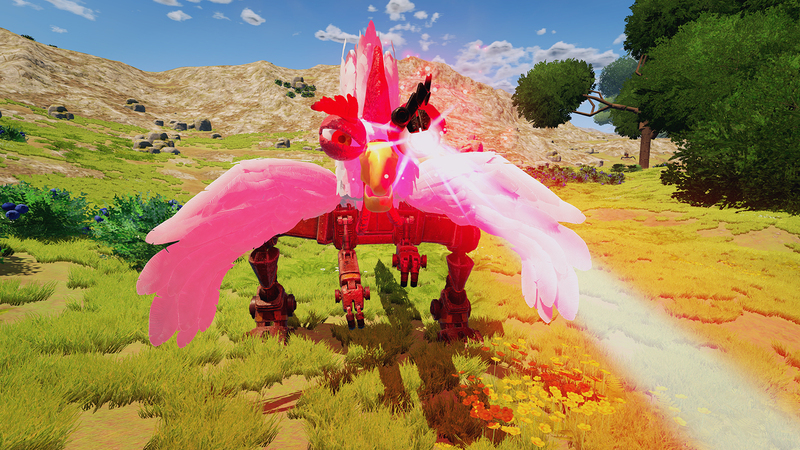 MechaChkn by Dinoman9877 is definitely a mad scientist creation. We don’t want to meet that scientist (or see the creature made up of the other halves). Salamander by Tycothepug is somehow cute despite using some of the creepiest parts. 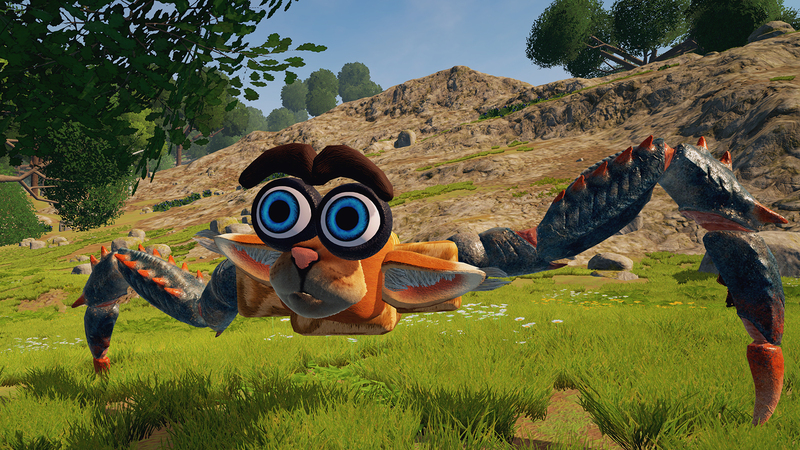 Watch it walk around in game and react to the world. You’ll want one as a pet! 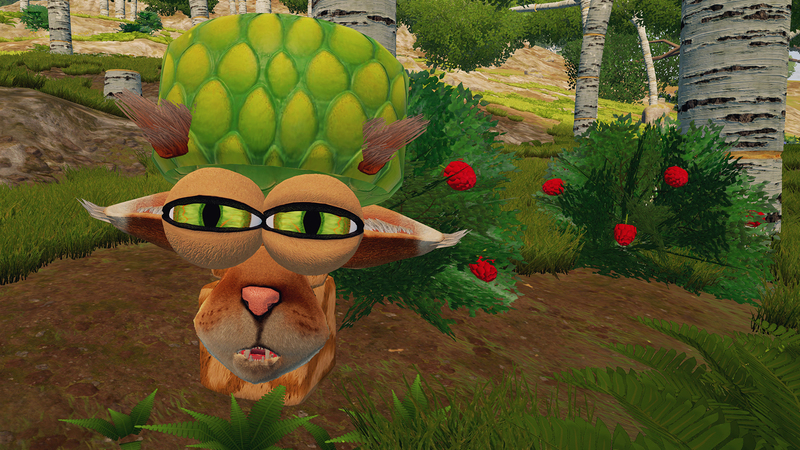 Finally, there’s Hat Cat, also by Jelly Butter. We have no idea what this is but it’s amazing anyway. Congrats to all the winners and honorable mentions, and thanks for all the amazing entries! Don’t forget that you can subscribe to them all using this handy list so you can spawn them in your own games. We also showed off some of these creations on our developer stream early today so check that out to see some of them in action. And thanks again to the judges! Definitely check out Jacemachine’s YouTube Channel when you get the chance. His CHKN videos are really fun and he plays other survival and creative games, too! 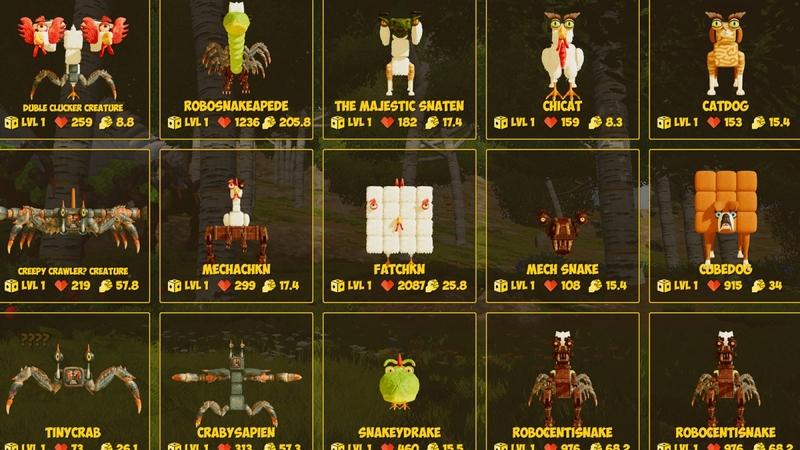 And if you’re looking for really interesting and fun creatures for your games, you’re guaranteed to find something you love in squidking’s Workshop Creations. We hope you all had fun creating your entries using the revamped Life Blocks. (More are on the way!) It’s so much fun looking through all your creations and we’re constantly inspired by your creativity. We can’t wait to see what you build next!